The only entrance is on Marshfield. The dog park is isolated from rest of Walsh Park. Bulletin board at park entrance suggests some kind of support, but no information provided there. Ananda Breslof is in charge of Walsh Park DFA. 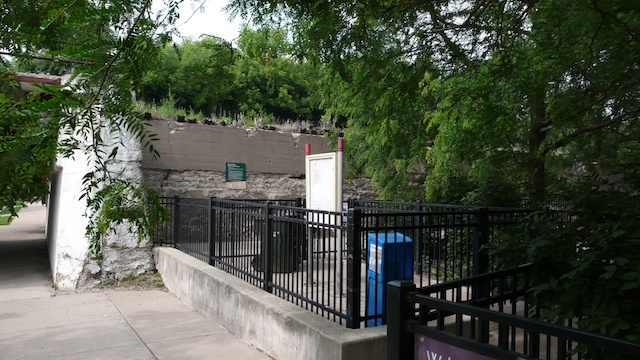 We’ve learned that the Walsh Park DFA will be temporarily closed and relocated towards Ashland Ave. as part of the Bloomingdale Trail Project 606 that begins this year. Ananda Breslof spoke at the CPD Board meeting on August 14th requesting that a temporary DFA area be constructed in the interim to accommodate the large dog community in the area, and also requesting that the DFA committee be involved in the relocation and design of the new DFA. Shoot Ananda an email if you support her effort!